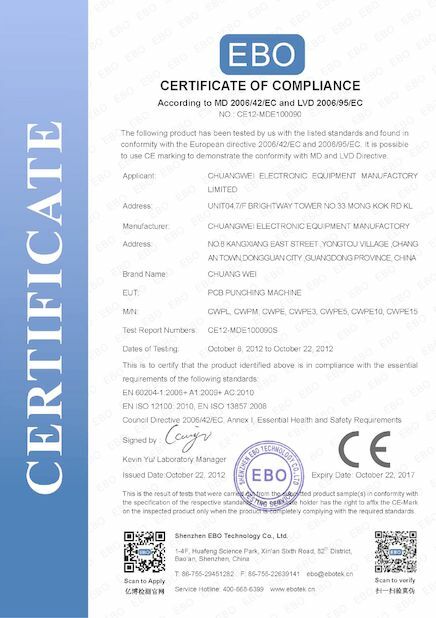 ChuangWei is one of the professional manufacturers which specialize in the PCB Separator and soldering machines, covering V-groove Cutting machines, PCB punching, PCB router and laser PCB depaneling, ect. 1. 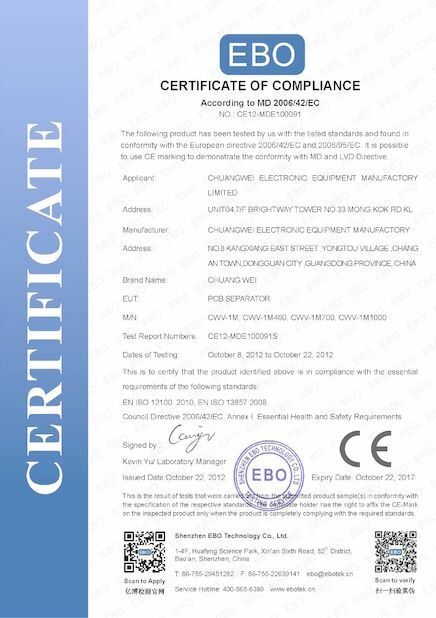 We have our pwn R&D team, which ensure our own technological and innoative models for customers. 2. 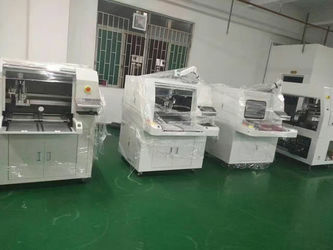 For any customers who have new idea about our machines, just let us know, we can according to your idea provide a unique design to meet different requirements. 3. 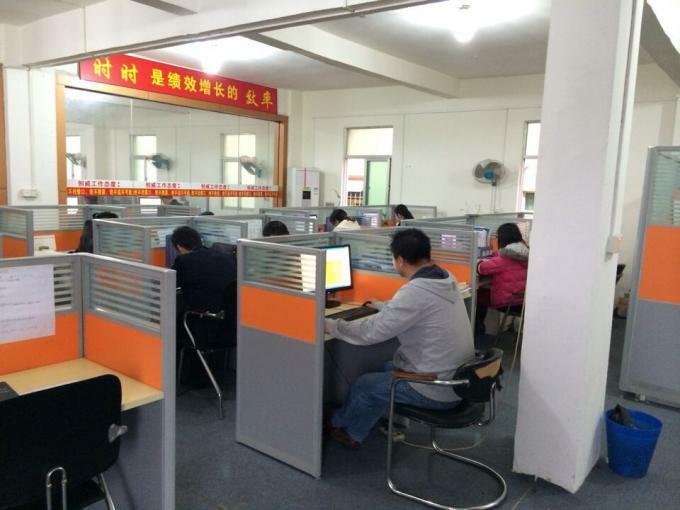 For every customers, we will recommend the best suitable and efficient model for their production line. 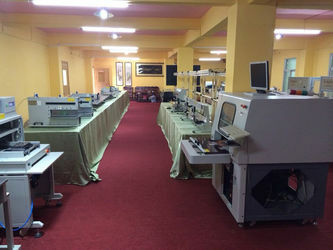 We adopt famouse brand of main parts and advanced technology, and the producing machines are all equipped with advanced system, all our workers are experienced and skilled. 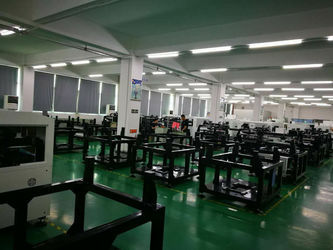 Besides, for the big machines, like PCB router and laser depaneling, the platform is made of marble which ensure table flatness during processing. 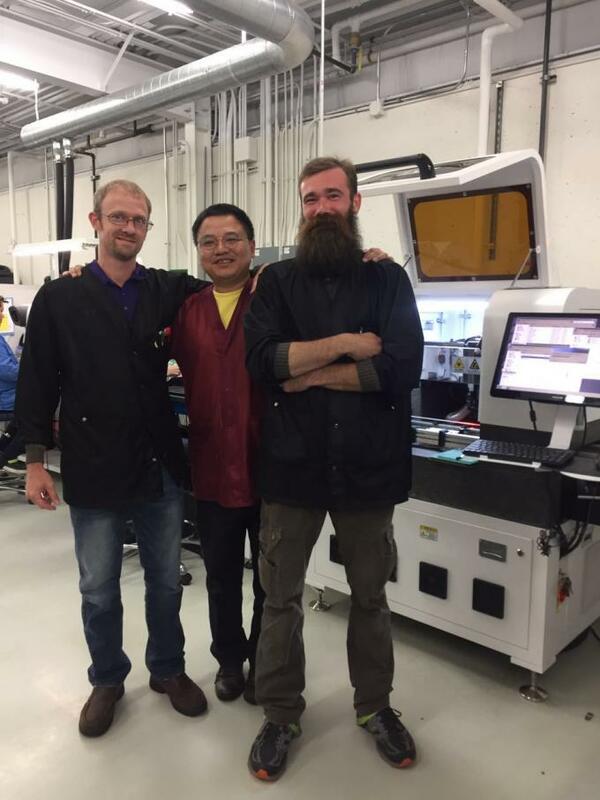 Our production team and sales team can guarantee a fast and high efficiency after-sale service for our machines sold to everywhere of the global. DHL Cosco group, China Shipping, FedEx. UPS are our good partners, which can guarantee the fast and safe delivery to the customers' hand. 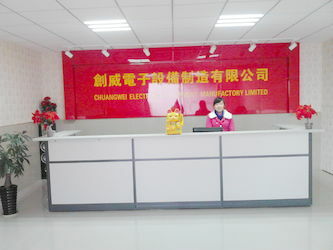 Choosing ChuangWei, you will enjoy our value-added and one-stop services, it is our duty forever. 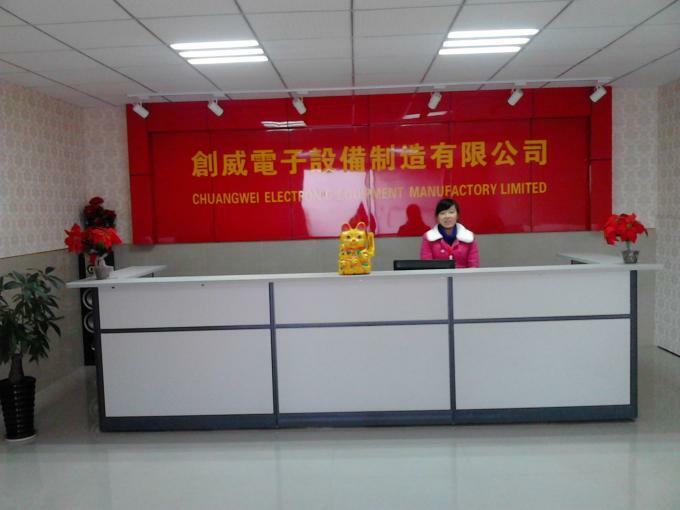 ChuangWei provides customized made models according to different customers' requirements. 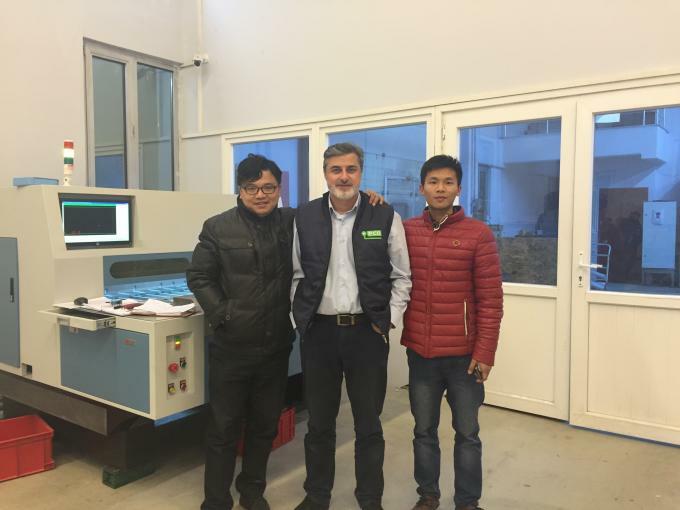 We keep deisgnning and developing new improvement to make better machines, our goal is to make the best suitable machine with high-efficiency to save labor cost for customers. 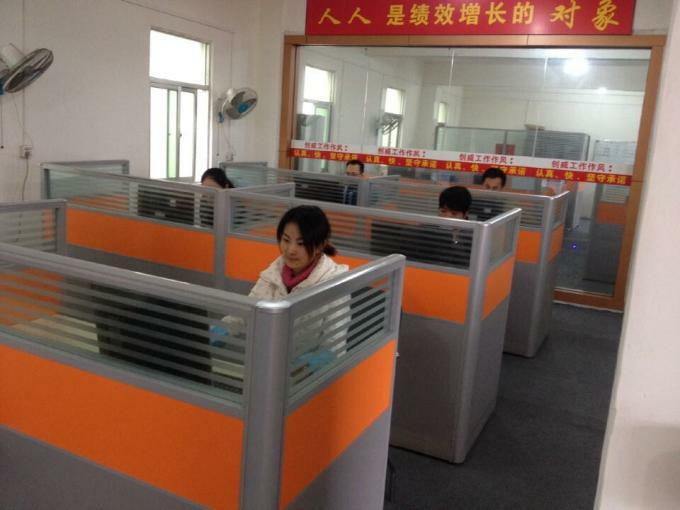 Welcome inquiries from all over the world!We would like to send you our best quoation according to your requirement. When you order our machines, we will send our service personal to help you with installation and training our workers to learn how to operate the machine in the right way. When you have any problems during the operations, we would like to help you via Email/Video/Skype conference to solve it. 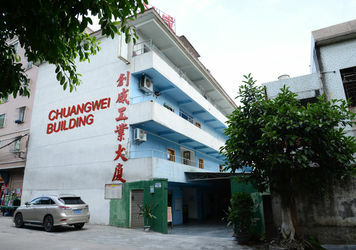 ChuangWei's technica team is much experienced in PCB depaneling and soldering machines, to manufacture better machines. 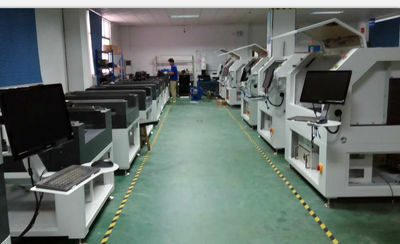 We are able to provide support on machine customize, machine maintenance, engineering design, construction scheme, design optimaiztion, product development.